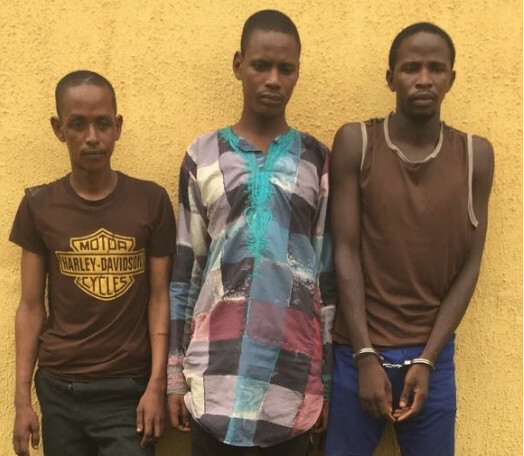 The Nigerian police claims its Intelligence Response Team (IRT) has arrested three of the suspected kidnappers that murdered a senior staff of Dangote Group and also kidnapped five expatriates working for the conglomerate. According to a statement, police said the three suspects were arrested December 3rd. They were identified as Abubakar Gide, 24; Abdullahi Salihu, 22; and Babuga Adamu, 25. The trio were arrested in Ijebu Igbo, Ogun state; Epe Forest, Lagos State; and Ajase Ipo Forest, Kwara state. “The suspects confessed to kidnapping and releasing all five initial victims after receiving N5.6 million ransom. They also confessed to kidnapping and murdering the ransom transporter, Istifanus Gurama, also of Dangote group,” the police said. Police PR officer, Don N. Awunah said the suspects have led the police to their hideout in Ijebu-Igbo, Ogun Forest where 3 AK47 rifles, 6 AK47 magazines, and 160 rounds of ammunition were found. The suspects further led IRT operatives to Apoje River where Gurama’s body was recovered, Awunah added. Awunah also said efforts are in progress to arrest other gang members. Oya now we need to know who sent them!!!!! Fulani people going around murdering Innocent civilians either through herdsmen or through kidnapping. They are northern and muslim and they killed a northerner and Christian (Istifanus), probably for that exact reason i.e. he was a northerner and dared to be Christian. Why kill the person who brings you the ransom money? But you cannot just assume they are fulani; there are various other tribes in the north apart from the Hausa and the Fulani. What is also of (chilling) interest though is that they are all northerners yet were all operating and living and hiding in various parts of the South (we all know Kwara is really at best one leg in, one leg out, and is ‘northern’ more for political purposes than anything else). 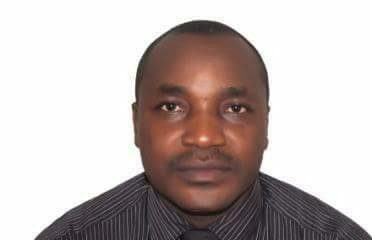 The security agents ought to investigate that properly especially to find out and jail their sponsors whoever they are. Hearing N5.6m and trying to reconcile such a sum to the creatures shown in these photographs is hard. I pray ALL the entire gang and their network/eco-system of accomplices, sponsors, helpers, etc get caught and face the full wrath of the law and justice without mercy, as they showed no mercy to Istifanus. May God grant his wife and childen all they need to make it successfully through this time and in their new lives going forward. The northerner are not known for this. How come they perpetrated their evil act in such a community without no clue. Sorry for the typo. They are not known for these?Are we talking of the same Northerner?Which people are the boko haram we are talking about? The herds men are from were? Are we in the same Nigeria? Please they are EVIL themselves. Let’s not go there. Collected 5.6m and still killed him. To what purpose and why? Just kill them same way they killed him. First of all, a job Welldone to the police force. We are always so quick to criticize and now we have to be fair that they caught these evil men before they strike on another. Secondly, anyone with half a brain knows that evil has no tribe…..people who commit crime do it primarily for greed or bad economic circumstances and they choose to lose their souls……you guys are one of the major problems we have in the society. Blaming and stereotyping is regressive and unproductive. It never solves anything. It only says a lot about people who engage in it. Shame on bigotry. I am in total shock !!! So now this is the new thing in Naija??? Lord please have Mercy on us. Look at these fool with their smelly SHOKOTO…. they should be killed in firing squad.. My God you are watching many wicked things on earth!! and you are not saying nothing… it is time you us your power.. These killings on earth are too much and just savage.. Lord have Mercy on US. Please ! have Mercy on us. One look at this marauders has Niger written all over them ,the earlier the government secure our boarder the better for Nigeria. They are being brought in by their counterparts for assistance,God will help us. Sorry they don’t look the part. Indeed, who sent them?